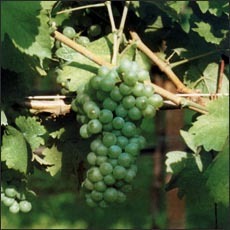 This white grape is frequently used with quality wines. The slow oxidisation of the young musts makes it very appropiate for ageing in oak casks. An early harvesting of the Macabeo grape ensures a fine pale colour and balanced acidity. 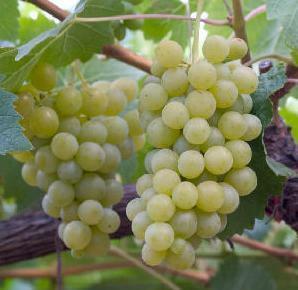 It is probably the most common white grape grown throughout the world including Valdepeñas. Nowadays the wines that are produced with care from Airen grapes produce fruity wines that can be reminiscent of bananas. A grape that produces very vigorous wines. Its stock is very tough and resistant to drought, plagues and grape diseases. 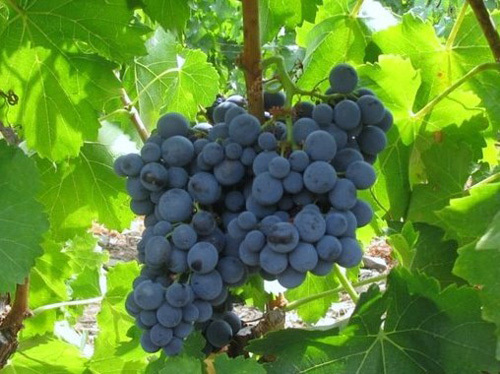 The grape bunches are medium sized and compact. The spheroid grapes are black in colour with thin skins producing a juicy pulp and a deep red coloured juice. Of French origin this red grape is very popular in Bordeaux. It is ideal for ageing wines thanks to its intense colour and strong tannis that reminds one of violets and berries. This noble Spanish grape produces elegant, highly aromatic wines of excellent quality that are highly suitable for prolonged ageing thanks to its scarce oxidisation. It is very fruity with a characteristic ruby colour that is particularly perceptible in young wines. The name of this grape varies according to the region concerned. In Valdepeñas it is known as Cencibel. 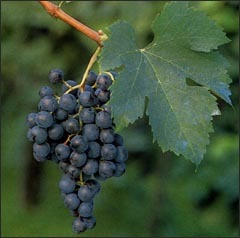 One of the main advantages of this grape is its capacity for adaptation. The basic characteristic of the Merlot wines both young and mature, is that they have a notable fresh fruity taste. 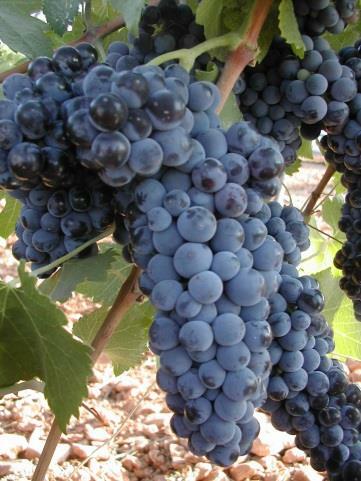 Nowadays the Syrah grape is the most fashionable grape variety in the wine making world. It adapts very well to the Mediterranean climate. The typical characteristic of the grape lies in its potential when grown in soils that are clayey in warm and sunny climates.